Please also see environmental law, land and property disputes, trusts tax and financial planning. Criminal offences eg. motoring, theft, assault, sexual offences, fraud, public order, terrorism etc. Many solicitors will provide advice and guidance on personal and business debt to both debtors and creditors. 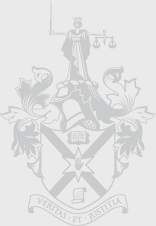 However only solicitors who are authorised by the Society as Insolvency Practitioners under the Insolvency (NI) Order 1989 may accept appointments to be Trustees in Bankruptcy; Trustees in the Administration of Insolvent Companies; or to act as Supervisors of Individual Voluntary Arrangements. Solicitors in Northern Ireland are not authorised to provide Financial Services which are regulated by the Financial Services and Markets Act 2000, unless they arise out of, or are complementary to, the provision of other professional services. Regulated Financial Services includes mainstream investment business; general insurance mediation activities and advising on general insurance products and regulated mortgage activities. Solicitors may make referrals or introductions to Independent Financial Advisors and may endorse their advice in relation to mortgages and of course undertake the legal work necessary in relation to mortgages and other financial products.